Few people are better qualified to discuss fear than Russian writer Sergei Lebedev. His novels and The Year of the Comet (trans. Antonina W. Bouis) shed light on the Gulags and other dark periods of Russia’s history, while in his journalism he champions people persecuted for seeking the truth. In his keynote text Lebedev writes: “The way silence becomes taciturnity, a phenomenon becomes a characteristic, is how fear mutated, crept and permeated habits, character traits, life strategies, choices, consciousness and language.” Russian society is dishonest in dealing with historical trauma: a monument to the victims of Stalinist repression was recently unveiled in Moscow but there are no monuments in the places where the horrors actually happened, as Lebedev said in conversation with Carl Henrik Fredriksson and fellow Swedish writer Elisabeth Åsbrink. The current Chair of Swedish PEN, Åsbrink started out as a journalist before turning to non-fiction couched in poetic language, winning the August Prize in 2011 for And in Wienerwald the Trees Are Still Standing, a book that explores anti-Semitism in Swedish society using the example of the founder of the IKEA furniture store. In Spitz she presented her latest book, 1947. Where Now Begins, in which she demonstrates that the seeds of many of today’s major issues were sown in that ostensibly unremarkable year. Two Paris-based authors, Gila Lustiger and Karim Miské discussed the visceral fear generated by terror. Published in the aftermath of the Paris Hebdo attack, Arab Jazz (English translation by Sam Gordon) by the French-Mauretanian Miské is a murder story set among the immigrant communities of the 19th arrondissement. It explores the phenomenon of “gangster-Salafism,” which found its horrifying culmination in the November 2015 terrorist attacks in Paris. Lustiger, who writes in German, grapples with the shock of these attacks in her essay Erschütterung (Shattered). In the weeks and months that followed the terrorist attacks she obsessively followed the news, particularly on social media, in an attempt to understand how social exclusion and unemployment in the banlieues have produced a whole generation of disaffected young people who have come to reject the French language itself, the only means of communication available to them. 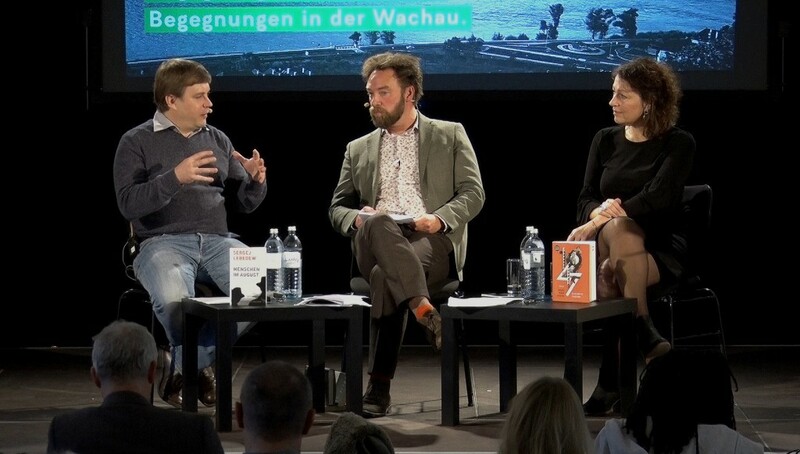 On the panel entitled “From Fukushima to the Gobi Desert – the Wounds of Our Time,” two writers from Central and Eastern Europe confronted their fears as they are drawn to ever more distant destinations. Polish writer Andrzej Stasiuk has honed a distinctive style of travel writing, a kind of litany of observations and reflections on the shabby and forgotten easternmost reaches of Europe. “What I like best of all is reading a book and driving a car,” he confessed, talking about his most recent book, Wschód (The East, 2014), which describes his road trip to Mongolia. Slovenian poet, writer, and editor Aleš Šteger (his novel Absolution was recently published in English, translated by Urška Charney and Noah Charney) has deliberately pushed himself beyond his comfort zone in his latest project, The Log Book of the Present. In a style that is “not reportage but rather a protest provoked by a particular place,” he has covered issues such as the aftermath of the Fukushima nuclear disaster and the killing of the forty-three students at the Ayotzinapa Rural Teachers’ College in Mexico. 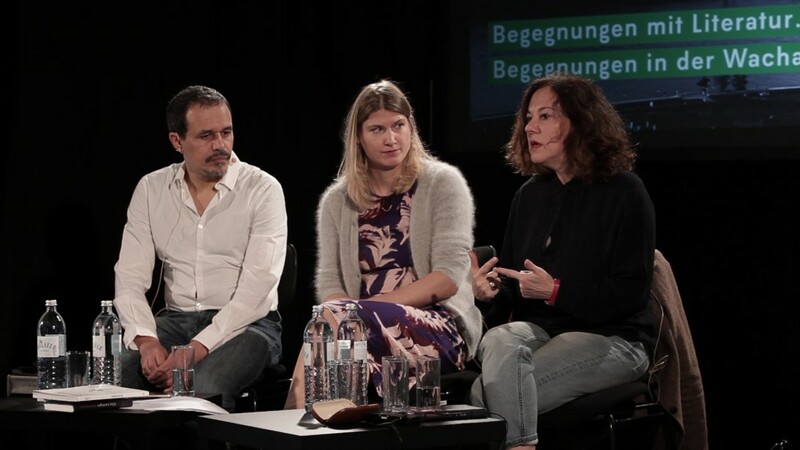 In a session on “Designed Feelings, Deserted Worlds,” two Berlin-based authors talked to Katja Petrovic and read from their recent works. 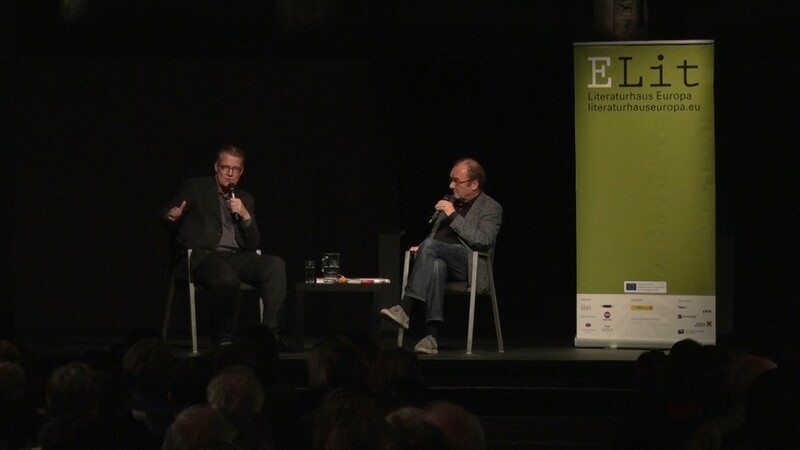 German writer Leif Randt kicked off with his dystopian novel Schimmernder Dunst über Toby County (Shimmering Mist Above Toby County), while Czech author Jaroslav Rudiš presented Národní třída (National Avenue), his 2013 novel recently published in a German translation by Eva Profousová. 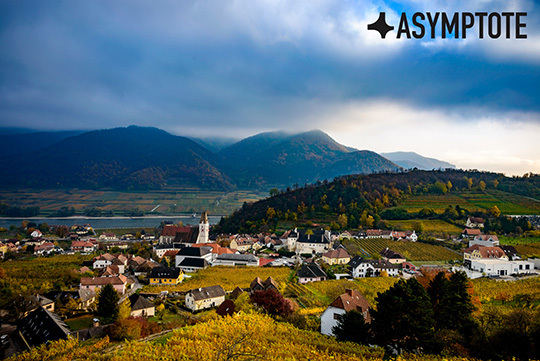 Julia Sherwood is Asymptote’s Slovakia Editor-at-Large. She was born and grew up in Bratislava, Slovakia, and worked for Amnesty International in London for over twenty years. She is now based in London and works as a freelance translator from and into English, Slovak, Czech, Polish and Russian. Her book-length translations include works by Balla, Hamid Ismailov, Daniela Kapitáňová, Hubert Klimko-Dobrzaniecki, Uršuľa Kovalyk, Peter Krištúfek, and Petra Procházková.